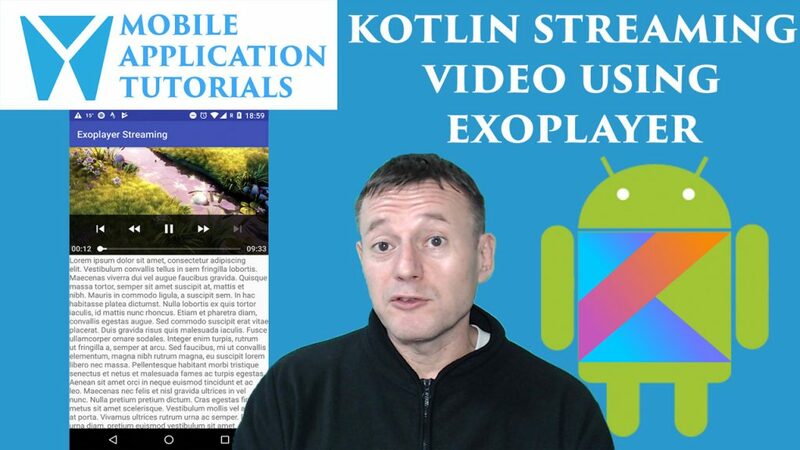 The Kotlin Video Streaming Introduction android development tutorial describes how to create android video streaming apps using ViewView, MediaPlayer and Exoplayer. The kotlin on android applications are designed to be similar in look and operation. A progress bar will be displayed for when the videos are buffering. And media buttons are provided for each application. 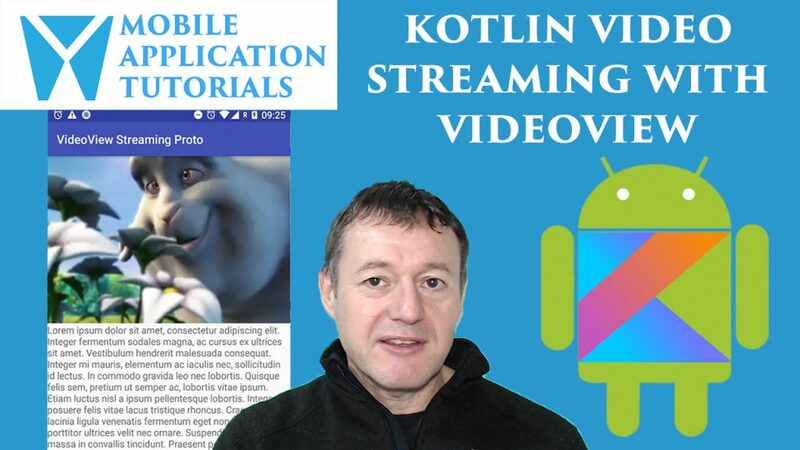 The VideoView kotlin on android streaming tutorial is a good start to those new to android or video streaming. The VideoView is a wrapper on top of the MediaPlayer API therefore much of the underlying functionality has already been implemented. 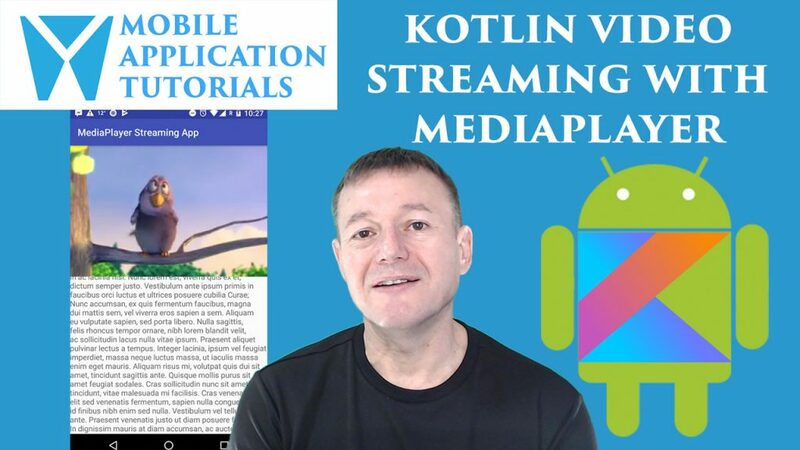 In the kotlin on android MediaPlayer tutorial you will get to work with some of the fundamental concepts of streaming video and the MediaPlayer. Starting up with setting up a listener for when the SurfaceView is available. Then working with the various MediaPlayer states and understanding what calls can be made from which states. To finally getting to start streaming the media. And also explaining how to get the width & height video dimensions which will be used for setting the SurfaceView dimensions. 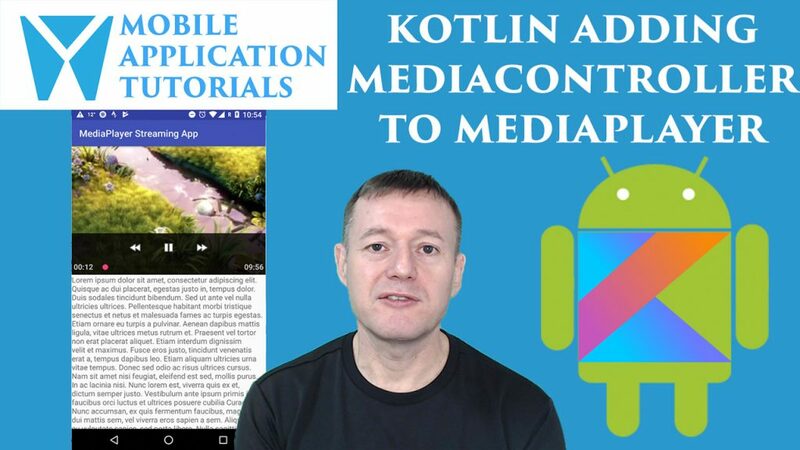 The MediaController kotlin on android tutorial describes how to add media buttons to the MediaPlayer. The kotlin on android exoplayer tutorial describes how to implement video streaming using the ExoPlayer. The different components for creating a ExoPlayer instance will be explained. As well as how to create a MediaSource for a dash url.